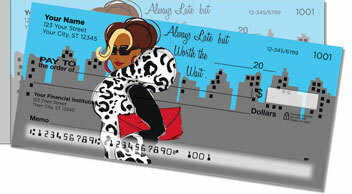 You may occasionally be late, but considering how fabulous you look when you do show up it's no problem. 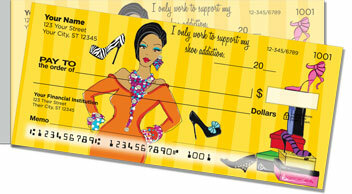 These checks from Working Girl Design are perfect for the woman who's professional, stylish, and not above the occasional shopping spree. 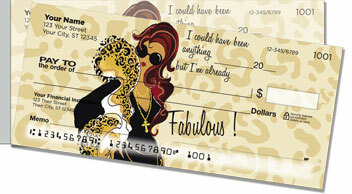 Now these designs come on our side tear checks, perforated along the left edge making them easier to rip out of your checkbook. Running late? Don't sweat it. It's easier to forgive when you're this gorgeous. 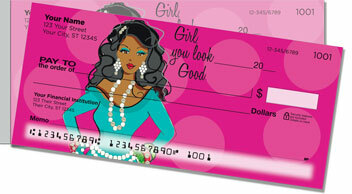 Order our checks today and get free shipping.